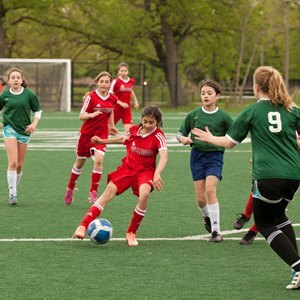 British International School of Chicago, Lincoln Park is a member of Nord Anglia Education, a world leader in providing quality, innovative education for over 40 years. 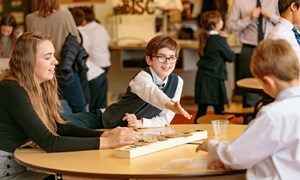 Educating over 61,000 students each year, the Nord Anglia Education family operates 61 international schools in 28 different countries. As a Nord Anglia Education School, our team of staff provides the highest quality of learning where students are given the opportunities to achieve their very best. With small class sizes, our teachers support each child individually and believe there's no limit to what our students can achieve. It's our aim to be ambitious for our students, challenge their thinking, and help them reach for their dreams. Being a part of the Nord Anglia community means that our school attracts the best teaching talent who are given extensive professional development opportunities that ensure our students benefit from contemporary educational thinking and practices. 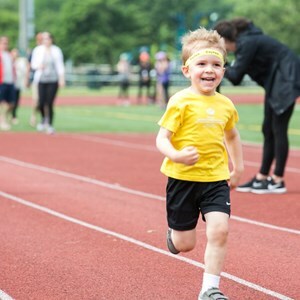 As a global family of international schools, Nord Anglia Education offers children opportunities to partner with students and teachers from schools around the world. Your family will become part of a community that includes more than 61,000 students in the Americas, Europe, Asia and the Middle East. 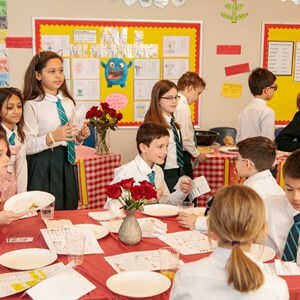 Direct ties to other cultures and experiences give the Nord Anglia Education family a supportive, diverse connection with the world. Our Global Classroom initiative provides your child with a unique opportunity to meet and collaborate with students from around the world. Through virtual learning and interaction, your child will learn to respect and understand different cultures, work as part of a team and develop leadership skills. The program includes online learning space, in-school challenges and the chance to participate in international expeditions. 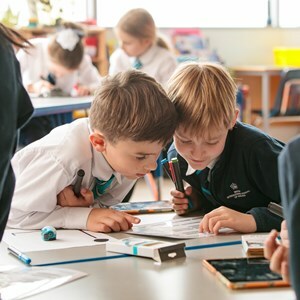 Nord Anglia University encourages our teaching staff to work with their international peers, learning from each other and from a network of global experts. The program gives them the chance to access a global network of education professionals, allowing them to share methods, learn about the latest thinking and develop innovative new approaches to teaching. We offer access to teacher-training conferences, online discussion forums, workshops, and insights into the approaches of some of the world's most renowned experts. Great teachers, committed students and an emphasis on hard work have delivered world-class results at every level across our family of 61 schools. Our schools continue their remarkable academic track record with results that significantly outperform schools around the world. Seven students earned a perfect score of 45 out of 45. 54.2% of scored in the Advanced Placement (AP) exams recieved a grade of 4 or 5 out of 5- the highest scores available. Our average AP score of 3.6 is higher than the global average of 3.0.